Thank you for the thousands of reactions to my recent blog about the Kipper© communication technique. Great to see so many fans of the technique out there reflecting its power in persuasive communication. If you’re feeling a bit rusty though, I have launched “Kipper©-Mark2” as part of the much-acclaimed ‘Getting Your Message Across’ training course which covers design and delivery of team messages (pitches) using the TeamKipper©. We have also extended the technique to running meetings – virtually, as well as face to face – using the MeetingKipper©. If you’ve ever had a painful teleconference call (and who hasn’t?) let the updated Kipper© change the dynamic for you completely. 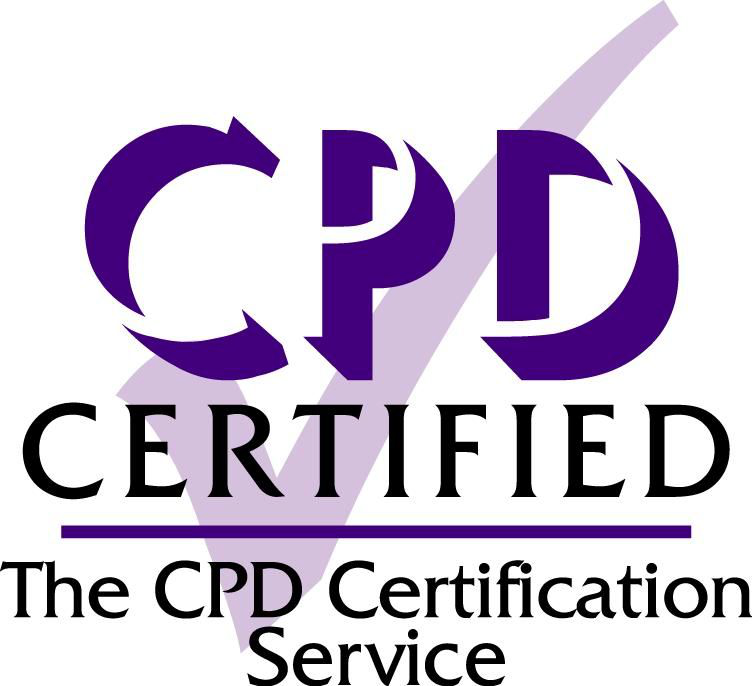 For refresher training or to roll out to others in your organisation, contact me https://bit.ly/2pGvmiT or my certified associate Amanda MacAuley http://bit.ly/2GODFPZ . With the Getting Your Message Across course now CPD certified, it’s a great time to bring your communication skills bang up to date and unleash the power of the Kipper© in your organisation. Options are also available to be licensed as a trainer in the Kipper for those wishing to deliver training themselves. If you’ve been trained in the Kipper you can use the Kipper. If you want to teach the Kipper you need a licence. Applications are welcome. Note – I do this to maintain quality and integrity and to avoid the distortions of the past. Selling – discovering the right perspective – theirs! Selling is a form of communication. It should, if it is to be successful, draw upon the art of persuasion – rhetoric. But, from my observations of the way in which companies pitch for business, it would seem that there is often a preoccupation with themselves and their products and services rather than with the client and his issues. This can of course seriously detract from the pitch. This preoccupation frequently starts early in the sales cycle. There will be the internal pressures to push certain products and services – “strategic offers” is sometimes what they are called. Effort will be expended on establishing what the win themes are and how to differentiate from competitors – often based upon out of date views or a misunderstanding of competitors, laced with some self-denial. By the way, this usually takes place before there has been any detailed analysis of the potential client’s circumstances, issues and concerns. The result is that these themes are often inward focused and can, without continual and objective refreshment during the sales cycle, become completely detached from the prospective client’s real needs. As my friend Joe Binnion put it – we need to think about “buying themes” rather than just “win themes”. And, does it not make you wince when you see the last section of the proposal or presentation entitled “Why [insert name of bidding company]?”? It is usually followed by crass regurgitation of those old win themes (sic) or a set of supposed differentiators which sound just like everybody else’s. What is transmitted to the potential buyer is lack of empathy, indifference and arrogance. I have never been convinced that these things will help people buy. I wanted to touch on just one symptom of this internal focus – the misplaced and over-use of credentials in a pitch. I use a simple mnemonic “QAEC” to help put credentials into context and avoid what I often come across – a situation where their over-use detracts from rather than enhances the power of the presentation. This very simple structure is explained below. It does match perfectly with the “kipper” tool for the design of messages, courtesy of the Rhetorical Company. A sales presentation is in effect a narrative – a story based upon a number of ideas or points which lead the listeners to an “Ah Hah!” moment when they form a mental impulse or conclusion and are persuaded to action. Let us take just one of those points (bones if you are trained in the “kipper”) in an imaginary narrative. The main reason you would make a specific point in a pitch would be to answer a question that you believe the listener might have – the “Q”. For instance, you might have established that the listener is concerned about how quickly an action needs to be taken. The answer (“A”) to this might be: “You can’t afford to wait” or “You are running out of time” or “You need to start now”. So this becomes the point you make. Any assertion made needs to be proved by evidence (“E”) and it is this that pitching companies often fail to address – leaping instead to telling the audience about how they did a wonderful job for another client in a super-fast way. This is not only irritating to an audience because you are not talking about them, you are not satisfying the basic rules of conversation – that is that conversations are about responding to each other. This also applies in presentations – it’s just that only one side of the conversation is vocalised. Let us continue the example and take as your point – “You can’t afford to wait”. This should trigger in the listener’s mind a silent question – “Why’s that then?” The next thing you say needs to be evidence – proof of the point you have made. It is clear that citing a credential here does not prove the point. In this case, good evidence might consist of (for example): citing actions taken by competitors; movement in reputation scorings; the time taken to achieve realisable benefits. If you take the idea of a one-sided conversation to the next step, you might imagine that having demonstrated and proved the urgency of action, the silent question in the listener’s mind might be something along the lines of “OK, but will it be possible in that timescale?”. It is at this point that use of a credential (“C”) may be both justified and helpful, since it now provides proof that “it really is possible”. The credential is though optional – the key components of any point (bone) you make are the point itself and the evidence which proves it. Credentials do have their place in a sales pitch. But do try and avoid them becoming the main reason for your pitch. If you follow the simple QAEC sequence described for each point you make in your narrative, you will find that where you do use credentials they are an enrichment of the listener’s experience rather than a detraction. People have been giving and receiving presentation skills training for years (actually several millennia) and in that time there have surely been some changes in what might be regarded as a “good” presentation. But I did think that the sort of course which abounded in the 1990s, typically extolling the style adopted by photocopier salespeople, would have disappeared by now. So I thought I should reassure those whose aspirations are not to become completely robotic that humanity really can have a place in the business world. People are persuaded by other people. True communication is the product of both message and personality of the speaker. One multiplies the other. And of course, the listeners also need pauses in which they can interpret, understand and create memory. The formula that Willie Macnair of the Rhetorical Company coined was: C = M x P + S. C is for Communication, M for Message, P for Personality and S is for Spaces or Silence. I still use it because it is so true. Let us have a look at what personality means in this context. It is the believability of the speaker, the energy and passion conveyed. It is the cocktail of attributes that makes you want to believe the speaker. To quote from Simon Sinek – “People don’t buy what you do, they buy why you do it”. The personality conveys why you can believe the speaker. It embraces both your reputation or ethos and your presence in delivery. This presence is created initially in the Head of the presentation. As Cicero put it – “… open in such a way as to win the goodwill of the listener and make him receptive and attentive”. So, let us return to the three points of unfortunate guidance quoted above, and ask some questions. Does being perfect in delivery make you more believable? No it does not. Being too slick creates mistrust. Losing your way on occasions and getting the odd word wrong, or occasionally struggling to find the right word, all show that you are human and therefore authentic. Let us consider a situation when a team is presenting and one of the speakers loses his or her way. If other members of the team help out and get the speaker back on track, it shows that this really is a team that care for each other as well as the audience. So, please don’t try and be too perfect! Do we find people with energy boring? Of course not. Audiences respond well to energy and excitement generated by a speaker. This will be transmitted by natural movement and gesture. It stands to reason that constraining movement and gesture will undermine the natural transmission of personality. What a waste! Different people use different amounts of physical movement. So, if you are a relatively static person, forced gestures will appear exactly that – forced and untrue. If you tend to move or gesture a lot then this is who you are and the person the audience wants to see. So, be true to yourself. Does using a note suggest you are ignorant or incompetent? No. Many public speakers use notes, and sometimes autocues. There is nothing wrong with preparing and using a note, providing the speaker does not disengage from the audience and start to read from the note. Engagement – eye contact and shoulder movement – is essential in involving your audience. I find it ironic that the people who are critical of the use of notes are often people who will display slide after slide of PowerPoint and read what is on the slides. In other words, they are using the projection as their own note. Now that is an odd behaviour! Make sure that your note – the paper on which it is written – is not a distraction to your audience. Keep it small or leave it on a table and move over to it only when you need to. If you are using a prepared speech text, the sequence to adopt in delivery should be: read and memorise selection, re-engage with audience, pause, speak the words, pause, refer to note, read and memorise and so on. I have to admit though, this is extremely hard to do! Referring occasionally to a note compliments the audience because the speaker has taken the trouble to prepare their talk. In addition, referring back to a note when quoting evidence – a fact or figure or quotation – shows that you want to get it right. In other words you will be much more believable as a result of your reference to the note. The word professional is often used as an adjective to aspire to. I am not quite sure what people mean by it. Certainly, it should address ethics, beliefs and attitudes (the Why). But please let us not interpret the word in a way which would mean we veer towards being over-controlled, inauthentic, or boring. People are persuaded by people. We are, after all, human. So let humanity in ….. let humanity win. It is not uncommon for insights drawn from one domain to be startlingly relevant to another. Indeed human creativity can be seen to be geared to making connections between otherwise independent and unconnected ideas. It is what we do in our working memory. So I thought to share with you some connections between Simon Sinek’s insights and the subject of this blog – presentation design and delivery. They might just affect the way you tackle your next presentation. A participant on one of my training courses commented about having been inspired by Simon Sinek’s TED video on what he calls the Golden Circle. Co-incidentally I had downloaded this video a few weeks previously because it resonated so much with my work in the field of leadership and communication. The result was that there were many parallels drawn and references made throughout the course to the subject of the TED (the “Why” question). I do recommend a viewing of his talk. It is inspiring and its simplicity speaks to us all. One of his mantras is that “people don’t buy what you do, they buy why you do it”. He argues that companies and people who understand and communicate in this way tend to be the successful ones. It does seem that many companies are almost exclusively focused on the “what we do” rather than “why we do it” and having spent many years in the Consultancy and IT Services sector it is clear to me that this has led to the rather dull sameness of many companies in this sector when viewed from the outside. They espouse (or say they do) much the same values, have tag-lines which are almost identical and use methods and approaches which are pretty much indistinguishable. You see the result in company brochures, fliers, credential statements and written proposals. This is not to say that, within companies, smaller groups with more visionary leaders do not exist. They do. But I would suggest that often their pursuit of the “why” question is not understood or even tolerated by managers who have been groomed in the “what” and “how” world, so may not always survive the corporate mill. I have though also seen some very successful and highly motivated teams inside companies – and the distinguishing feature is their sense of purpose (“why”). As an aside, the public sector is, I believe, much more in tune with the “why we do it” way of thinking. I would suggest that there can be, as a result, something of a tension when functions and responsibilities are moved from the public to the private sector, and the “why” element becomes obscured and effectively replaced by the “what and how”. I remember a senior executive in the Rail industry saying to me that you could create a contract for anything and that therefore any service could be delivered under a contract. I disagreed with him then, and I would still. Contracts are great for “what” and “how”. But even the much vaunted “outcome based” contracts cannot really deal with “why”. In relating the Golden Circle thinking to message design and presentations, there are many intersections. I mention a few here. Why am I giving it? The first question to ask before designing a presentation is to ask the question “Why am I giving it?” Many people asked this might offer “to share knowledge or information”. But it rarely is just that. In the vast majority of cases, when you really think it through, the purpose of a presentation is to affect the future actions of an audience. Otherwise, what is the point? That future behaviour or action is where your presentation must lead, so it is the starting point in design of your message. Presentations of this sort are fundamentally about persuasion. People are persuaded (and make decisions) on an emotional rather than rational basis. As Simon Sinek points out, decisions are made in the limbic part of the brain. In a business setting, turn your ideas into the form where your audience is, as far as possible, the subject of discourse, not yourself or your company. People like to be talked about; they like their issues to be discussed. They do not like to have to endure generic descriptions of methodologies or technical specifications, unless they have specifically asked for that. See my previous posting on “Forensic delivery”. An audience will be encouraged (or not) to listen and be attentive within the first few seconds of your presentation. So make sure you have a good “Eye” – and make it about them! Assertions do not convince on their own; evidence and examples in presentations are about answering the “Why?” questions. Indeed those of you acquainted with the “Kipper” structure for design of presentations created by Willie Macnair of the Rhetorical Company will know that the left hand side of the “middle” is concerned with points, propositions and ideas. They create (or should) in the audience’s minds one of two responses: “Why is that then?” or “OK, but now prove it….” And that is what the right hand side does with evidence and examples. If you are going to engage emotionally with your audience, make it about them. The only really important people are the audience. The presenter is there only for them. As Simon Sinek says about Martin Luther King’s “I have a dream” speech, the crowd turning up were not doing it for him – they were doing it for themselves. 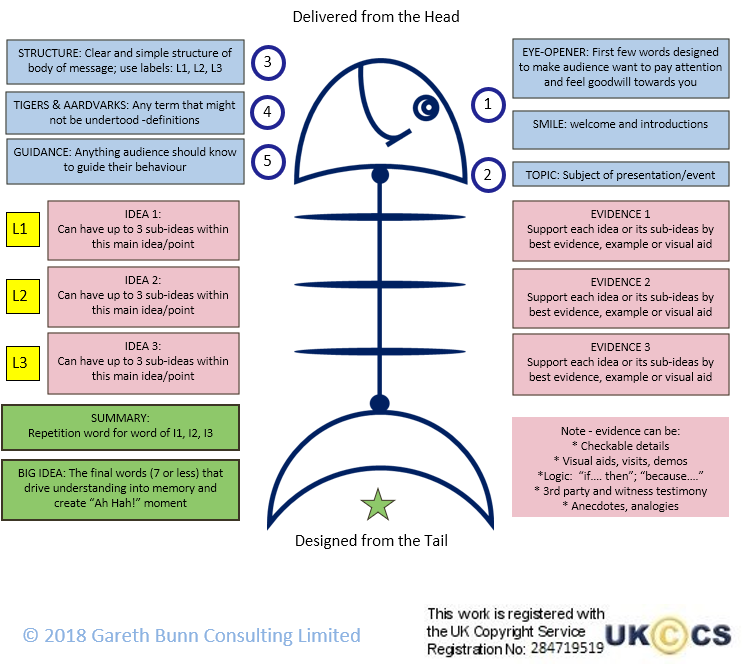 Having run training courses in communications and coached bid teams for many years, I set up this blog with the intention of passing on insights and tips associated with the design of the spoken word – essentially presentation design and delivery. This particular blog is really intended for people who have attended one of my company’s courses – Gareth Bunn Consulting Limited – (or The Rhetorical Company’s). If you have, you will understand the “kipper” – a tool for the design of messages devised by Willie Macnair and based on classical rhetoric. You will probably also have been introduced to the three main styles of rhetoric, two of which are relevant to this blog – “deliberative” and “forensic”. I must also thank Willie Macnair for his commentary on my first draft of this piece. This is a summarised version. We tend to focus on the “deliberative” style of rhetoric – where the objective is to persuade others to specific future behaviour. This is applicable to most circumstances in business not least to business development – selling. Procurement processes though often make the design of presentations extremely difficult. This is partly because the presentation can sometimes be deemed (unhelpfully) to be a part of the bid documentation. In other words the presentation is regarded as, primarily, a visual production rather than aural – a projected document augmented with an opportunity to interrogate! However inappropriate this might be, we have to respect the expectations of a client and its advisors. Different styles of presentation may be effective at different points in the selling process. It is essential therefore that the audience analysis undertaken by the bid team includes and thoroughly assesses the objectives of each interaction or presentation from the perspective of the client. This will determine not just the content and style but also the presenting team. Typically, the initial stages and the final stages of a procurement will be more orientated to people, personalities and persuasion. This fits well with the deliberative style. However, during the central parts of the procurement there may be a stronger focus on technical content. This may demand more of a “forensic” style to afford the richness in content. The spoken word is not great for detail, so it is likely that visual aids – models or diagrams of architectures, processes, spatial layout etc. will be needed to enable understanding. In addition, if your objective is to create long term memory, and bearing in mind the rule of 3, you will need to think creatively about what will help an audience preserve the “shape of things”. Spatial representations – maps and models – are especially useful. Do though bear in mind that “less is more” and an audience can cope with only a limited amount of detail. You can build in the detail – for example explaining a complex technical solution or describing a multi-stage process – using workshops and walk-through sessions. These can be components of the event designed using the “kipper” approach for team messages. You may decide to configure an entire “kipper” in forensic style. In this case, I suggest you take on board the following. Ensure the Head is complete. Just as with the deliberative style, it is vital for your audience. The piece which may be different is Structure. Instead of 3 labels, tell and show your audience how they will be able to navigate the component parts of your presentation. The Body of the presentation may not fit the 3-bones structure – there may be a greater number of steps. But it is still important to remind your audience (verbally and visually) where they are at the beginning of each step. Use mini-summaries at the end of each main step. Use visual aids where they will be helpful in explaining concepts. Keep these as simple and uncluttered as possible. Before you show the visual aid, describe the points you are making and let your audience know what they are going to see and what to look for. Note that hand drawn flipcharts or whiteboards, are often a welcome relief to projected slides. Design a handout for the audience to take away and refer to. This is not the same as a simple paper copy of the visual aids. Additional material – narrative and textual description – is most likely to be needed. Design a document! The Tail needs to include a Summary of the kipper. Try and stick to the words and phrases you have used during the presentation. The purpose of the Summary is to remind the audience of the journey they have been through and reassure them it has been complete, believable and relevant – i.e. it “ticks all the boxes”. The Big Idea is much the same as in a deliberative kipper, although one subtle difference is that it may not contain a verb in the imperative. Rather than “So… make your aspirations real” it may be “So, your aspirations made real”. In other words it is a statement of QED – case proven. Build in consolidation. Often the technical or forensic parts of a team message are needed for the acceptance of later deliberation. It is often valuable to ensure that those parts have been assimilated beforehand. So, design in some consolidation in the form of an exercise or a discussion before moving to the next part of the event. Seek confirmation at the end that you have indeed “ticked all the boxes”. Tell them what they want to hear? I heard an item on the radio a few weeks ago which concerned the Perse School in Cambridge which appears to reward pupils for lying. See jackontheweb page. The idea is to reward misbehaving pupils if they come up with fast and creative excuses for their misdemeanours. An example was given where a boy blamed his lateness on his becoming absorbed reading a particular book: the chosen book was of course a favourite of the teacher to whom the excuse was being given. A specialist in public speaking suggested that, in the example, initiative had been shown in seeking to understand the audience but he also seemed to agree with a notion that “Telling them what they want to hear” was an admirable thing to do. It was a light-hearted item, but it has stuck in my mind that what seemed to be being promoted here – if it is not lying – is sophistry. Sophistry can be defined as “a method of argument that is seemingly plausible though actually invalid and misleading” . In designing messages to persuade people, researching and understanding your audience is of course essential. It enables you to be clear about the behaviour you seek to affect, and to choose anecdotes, examples or pieces of evidence which are meaningful and relevant to that audience. But you would normally be admonished if you set out to deceive by using untruths (lying) or specious or fallacious reasoning (sophistry). The trouble is that we may say untruths believing them to be true. It is not uncommon to hear people refer to these “accepted truths”. Readers of this blog will I am sure be able to point to a myriad of “accepted truths” which particularly irritate them and infect the business or society they work within. There is one that is often quoted misleadingly in the world of public speaking and rhetoric. It irritates me. And judging by the number of hits on the internet, there are an awful lot of people as irritated as me from across the globe…….. It is a set of statistics related to “verbal and non-verbal communication”. They are usually stated as…. “Communication is: 7% words, 55% is body language and 38% tone”. If you are lucky, you might be given the source of the research which gives rise to these statistics – Professor Mehrabian of UCLA. If so you will be able to discover that it is frequently (and normally) misquoted by taking his research conclusions entirely out of context. Max Atkinson, a well known public speaking and presentation coach commented on the Radio 4 programme “Word of Mouth” some months ago that it should be “so obvious that this is not a correct statement”. He further commented that if you get the words right, the rest by and large should follow. I rather liked the way that Olivia Mitchell debunks this myth about verbal and non-verbal communication because she takes it a step further by exploring Mehrabian’s method of research. See her excellent post on the subject. Clearly, none of us would dispute the fact that communication is not limited to the words we use. But to quote the formula as if it were a universal truth is a deception. I must and do believe that the many people in the business of training and coaching in the spoken word who misquote Professor Mehrabian’s formula do so out of ignorance – a misunderstanding rather than sophistry.